The Go-for-IT! 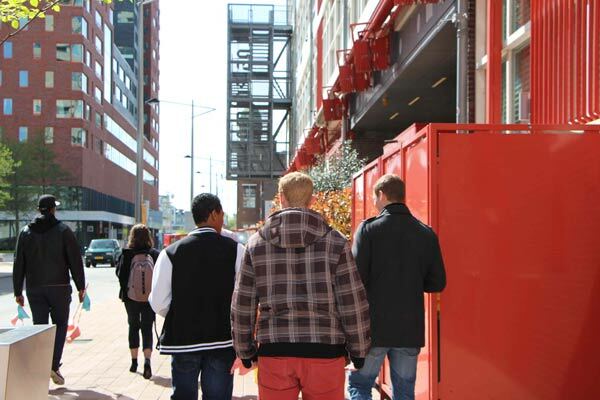 project developed a citygame, with four locations in Rotterdam Zuid. The game consists of a field made of street-tiles with LED-lights in it. The games can be played by touching the tiles with your feet, similar to a dance-mat. On each field, four different games can be played: Reflex, Stamina, Focus and Groove.